Black Knight TRANSFORMER | Advanced Tactics, Inc. 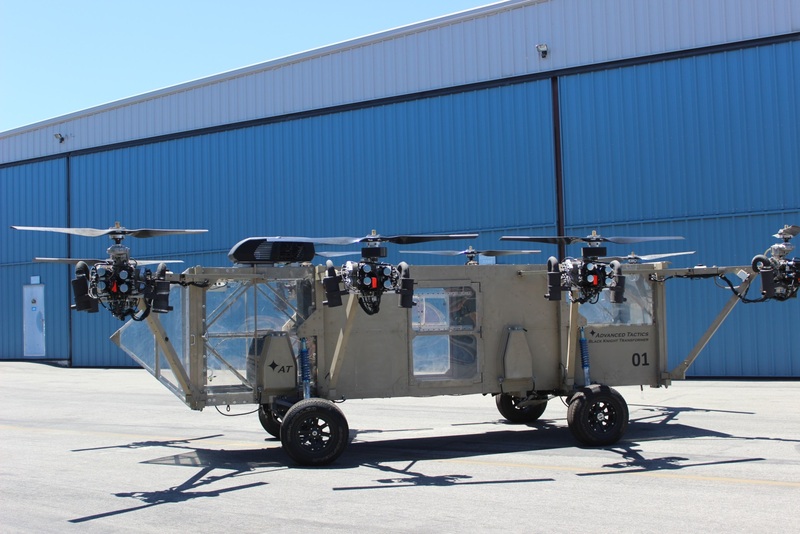 The Advanced Tactics Black Knight Transformer is a multi-engine rotorcraft drawing inspiration from small electric “multicopters” that have become popular in the last decade. Unlike the small electric versions, the Black Knight is a full scale aircraft with a significant payload and range capability. 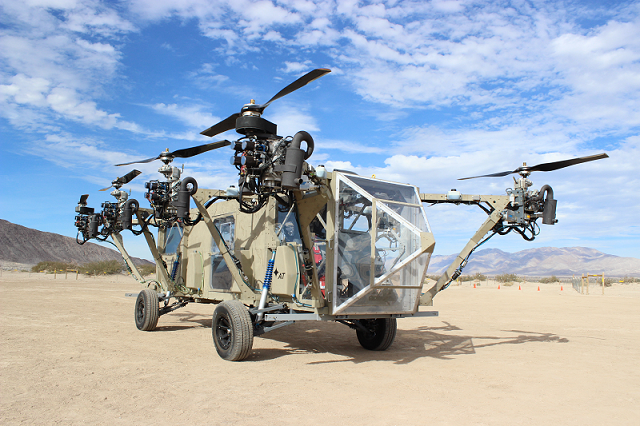 The vehicle also has a fully independent ground drivetrain that provides it with off-road driving capabilities so that it can reach any destination, whether a suitable landing zone is available or not. The Black Knight Transformer has been under development since 2010. Prior to development, the feasibility of the design was studied by the U.S. Army Aeroflightdynamics Directorate and NASA Ames. Significant core research, concept design, component development, and testing was completed as the basis for a full-scale prototype demonstrator that is currently undergoing testing. 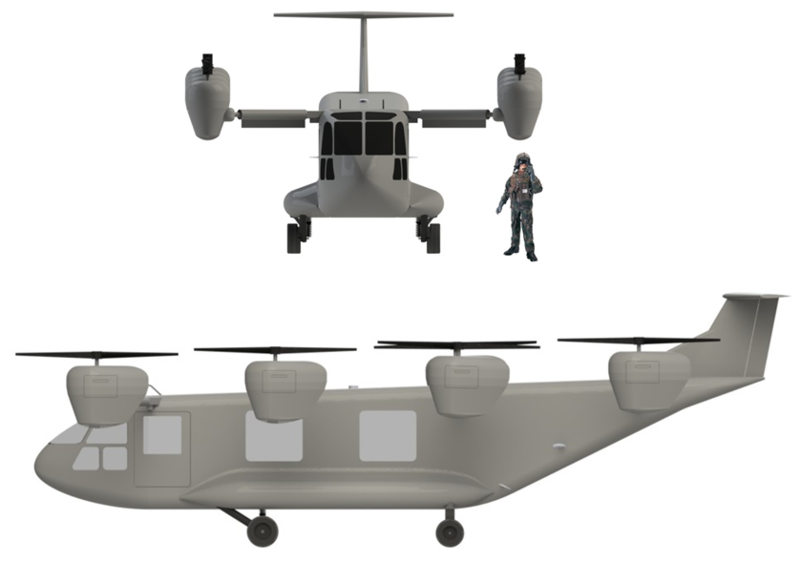 The image to the right shows the 2,000 lbs “Mini-Knight” prototype flown in June 2012. 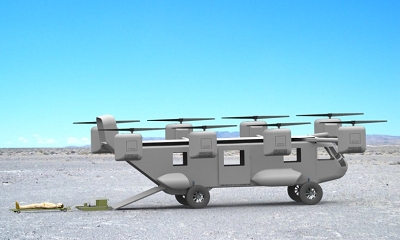 An operational concept version of this aircraft can carry modular cargo pods over short distances. 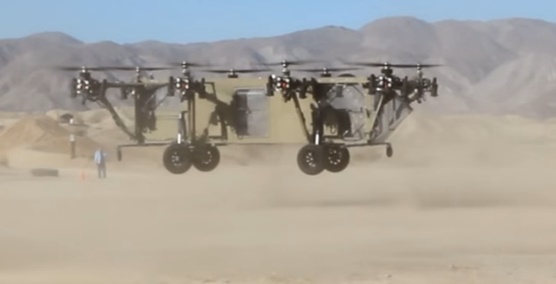 The Black Knight Transformer is the world’s first roadable vertical takeoff and landing vehicle. This capability provides it with a new set of missions that could not previously be performed. 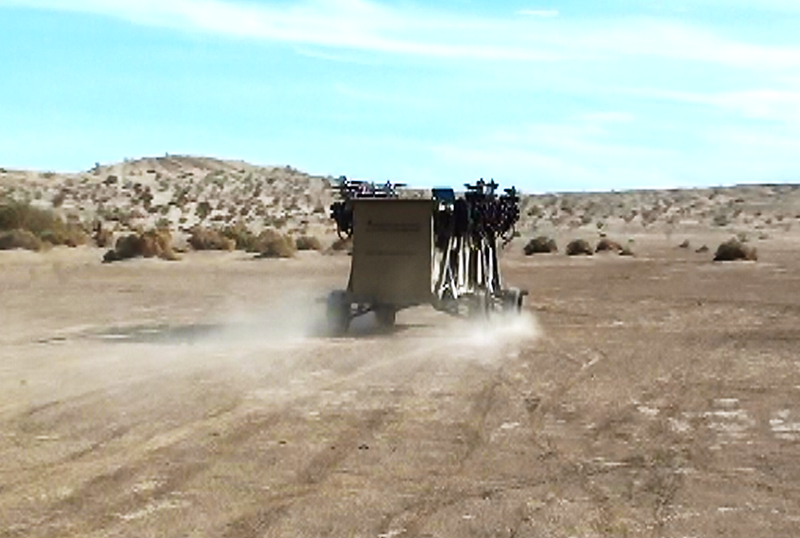 As a casualty evacuation platform, the vehicle can land in a safe landing zone away from enemy fire and then drive to a wounded soldier so that he does not have to be carried, reducing danger to other soldiers. For cargo resupply missions, the vehicle can again land in a safe landing zone and drive to its final destination, even if that destination is otherwise inaccessible to ground vehicles. 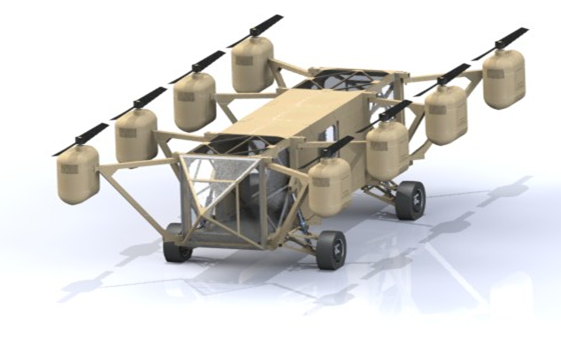 The driving capability is modular and can be removed to provide the aircraft with a significantly increased payload capacity. Alternatively, the ground drivetrain can be replaced with helicopter wheels/skids or a boat hull to offer different mission capabilities. A large scale prototype demonstrator is currently under development and shown in the image to the right. 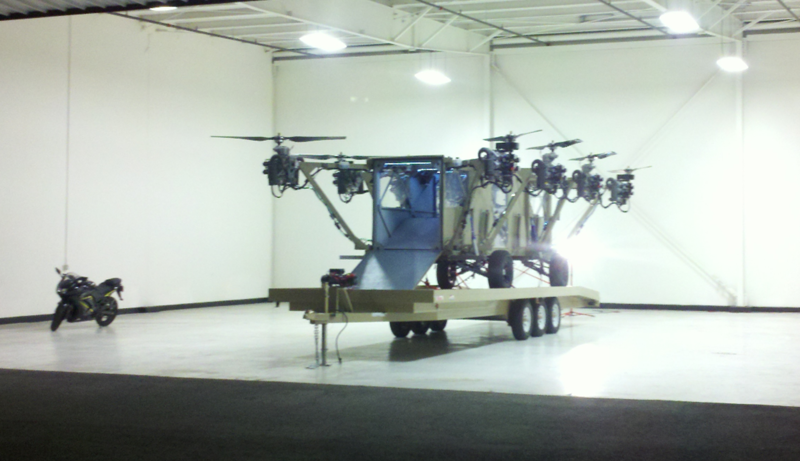 The demonstrator is a 4,400 lb vehicle with VTOL flight capabilities and ground driving capabilities. The vehicle specifications are shown in the table below.